The last few years there has been a huge exodus. People are moving to California, Monsey, Miami, and even Lakewood! When there are Lubavitchers moving to Lakewood, can we agree you have a problem? It’s not fun to talk about, no one likes airing dirty laundry. The thing is, if we want to be honest, this talk is a long time coming. Why are people leaving? That’s the first question we have to ask. There are several reasons. Of course the big one, it’s not remotely affordable to live in Crown Heights. You can generally find a decent apartment somewhere when you’re first married, but as the kids get older, it just doesn’t work. There is no parking, sure, that’s a problem, and since Crown Heights is somehow pre destined to never expand its borders, there is a finite amount of space available. In Boro Park, what was once a community that stretched from the mid 12th st and 16th avenue between the low 40’s to the high 50’s, now extends from the low 30’s to the high 60’s. In Monsey and other towns people have found new areas, new homes, new communities. 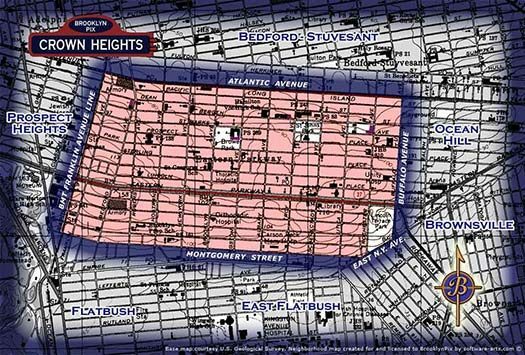 Crown Heights did not ever succeed in this expansion, so we’re left with the same small map. Yes, some of you have bravely gone past Lincoln or even towards Rogers, but let’s be honest, 2 or 3 blocks isn’t gonna cut it. Less land, less availability, higher costs. This is all very true, and I’m sure many of you will comment, people are selling out! Cashing in! Maybe, maybe not. Maybe it’s people who control the bulk of the homes in the center of Crown Heights either selling to friends or giving it to family, which maybe isn’t even wrong, but no matter how you look at it, there is too many people looking and no one really selling. The thing is, this isn’t why I’ve requested this little talk. The real issue. It’s your tone, your attitude, you seem bitter. It’s no longer a warm place. The tone has shifted to almost anger. No one wants to be painted with a broad brush. There are many very good people. Sadly, as is often the case, the majority is mostly silent. What’s left is a cauldron of people that shame their friends, their co-workers, shame their family members and of course, shame their neighbors. It’s normally shame that comes from whatever crisis of the month has taken over the town. Tznius, Eruv, Hashgacha, New Stores, Real Estate, and then there are things we shouldn’t even mention on a website that are all discussed, at Shabbos tables, the shul table, the kiddush club table, the streets of Kingston, in offices, and waiting on line to buy groceries. Maybe it’s because it’s too hard to find a home for yourself, maybe it’s because the cost of living has gone up. Maybe you are regretful you aren’t “getting out” also, maybe because others have left and are posting about their new homes that are 3 or 4 times in size. Maybe it’s that you got another alternate side parking ticket. I’m sure you are going through a lot. We’re all human. The problem is, the atmosphere you are creating in Crown Heights all the shaming, the anger, the loshon hora, it’s hurting you. We all feel it. It might be time for a break, maybe you need to rethink why there are those among us who feel so comfortable to speak badly about other Yidden. Maybe it’s because you are in a conversation where people all have something really witty to say about someone and you want your 5 minutes of fame!. You’ll get some cool points if you offer up someone else’s hardships to the gossip alter. Honestly, it’s not important why, what is important is that the rest of the world notices and we’re all wondering, what happened. Crown Heights, the shining city of Chassidis, Light, the place where people found meaning, and love, where you come for a Shabbos and leave recharged, happy, and feeling proud to be a Chossid of the Rebbe. We miss you. 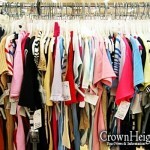 We would want to hang out and get to know that Crown Heights again. A former neighbor, but a continued friend. You are no friend. You are an arrogant phony. You’ve taken the pulse of our community from the comment section of the community websites and dressed up a scathing rebuke of our men woman and children in smug sarcasm, you shoot arrow at us and claim to be joking. Before G-d, name your community, your vaunted and proud community of enlightened and wise and positive do-gooders who can claim with authority that you are better than we are. What is the point you are trying to bring out? THIS EXACTLY! Your article sounds like spoiled chicken soup. 1) You seemed to have placed much thought and time in the writing of the article, what exactly do want to convey, as I am still lost? 2) You begin with the affordabe housing crisis, and then veer…. to where exactly? 3) What exactly do you want? by now im completely lost, are you another “just preach love” fellow? are you against basic halacha? are you writing an article against speaking Lashon Hara, while badmouthing Crown Heights? 4) Your tone is extremely condescending, would you like to feel superior, if so then “you are fantastic, and better”! do you feel good now? Every community has politics and gossip. LH is not the issue every community talks about each other. the issue is there no community no leaders. PS you can all hate CH at the end of the day is the only place in the world every Lubavitcher comes back and eats and sleeps and spends time. so before you knock it there is something to be thankful for. for the people that host you! Regarding those who moved away from CH the REBBE said “by this one there was a fire by that one there was a robbery’. Now i understand why i had a fire. (Sarcasticly speaking)Please dont take Rebbe’s words out of context. At bare minmum let readers know where you come up with your wild conclusions(Sichos or letters refrence) “Levy”. It’s a Sicha, black on white. Do your homework. Disgraceful article! Ch is the rebbes shchuna I am proud to live in ch. Why is such pointless, inconclusive nonsense, heading in no direction whatsoever, published by Crownheights.info?! I think the point for those missing it, is people are too engaged in loshon hora and bad mouthing that is done for the sake of conversational content and not for the sake of bettering the community or the level of frumkeit. Time to stick our heads back into the sand! The problem is very very clear, the housing situation! It started many years ago with a individual in crown heights who the rebbe spoke about… And things just keep going south. Yes he gives a lot of tzedakah and helps many people out. But don’t take my money and give tzedakah. Especially when you don’t allow me into “your” buildings because I don’t know you. This has to do with the financial situation in our community. Remember the rebbe had a vision, and remember who the group of people who stopped the vision of the rebbe! The rebbe knew exactly what was going to happen… But others decided to do different. When homes have no money! Why do you post this trash on this website? This is guy is a fraud. Enjoy walking your dog in pamona you hater! This galus has dragged out waaaaay too long. No more Op-Eds, just some real good action. No more bashing and no more comments. Agreed “okay”! I think the main thing is to have Ahavas Yisrael and Achdus! We are one nation! Galus is darker than ever and we need to be there for each other! If we put our problems and differences aside Moshiach would surely be here any second! You accuse CH of negativity in the course of an op-ed that espouses nothing but the same. You offer what is at best, a hodgepodge of correlations to explain your assertions. You say that no-one wants to be painted with a broad brush, while using that same broad brush to paint this community. With no proof, or even anecdotal evidence, you blame the “mass exodus” on the negativity of the community. I don’t have the answer to the question at the beginning of the op-ed: why, indeed, are people moving away. But you sure don’t have it either. This article is snarky, poorly written, and intolerably self-righteous. More importantly, it lacks structure and a coherent argument. I fail to understand the utility of this piece or the motivation for submitting it. I can’t remember who it was but there was a Rebbe, not Lubavitch, who when asked what he says about an issue replied that he says Tehillim. Everything is from shomoyim except yiras shomoyim. Crown Heights today is very big. Extends south to linden blvd. The reason.I would want to move out is for my lack of answers I need to give my kids on why some yidden are dressed like….. I grew up in an area with little yidden and this was never a question. Here we have yidden who live in our holy shchuna and are lubavitchers belev vonefesh but look very far from it. Purim gave a blanket heter to be dressed like…. I moved from a physically beautiful city to live in crown heights and bh I love it. I feel so blessed to have met so many wonderful caring people here. I met people who invited me and my family for meals and they barely knew us. Over the years we have become good friends. There are so many people in this community working very hard to help others , hatzalah, all the organizations that make food for people, the organizations that help kallahs and young mothers, bikur cholim, shomrim, shmira, the schools, their prasth, forgive me for leaving out others there are so many. Depends what you look for. There was a Rebbe, not from Lubavitch when asked what he says about an issue, replied that he says Tehillim. As many of you may know and have seen discussed on Facebook, many store fronts were leased illegally by a dishonest real estate broker who is pending investigation and a revoking of her license. Due to unfortunate circumstances including code violations by our landlord and being leased an illegal space by a dishonest real estate broker our space is no longer ideal. Please bear with us as we and our lawyer deal with this situation and as we search for a new space. We will continue to operate as usual and remain open until we resolve this. Look out for our products coming to supermarkets in the neighborhood after Pesach! Please message us with any leads for alternate spaces. Why are you writing this? You don’t live there any more. Neither do I, but not because of any of the reasons you cite. My children are still in CH and until Moshiach they have no intention of going anywhere & they are happy. Their children are happy. There is a lot wrong in CH since Gimmel Tammuz and I am the first to agree. But your assumption of people hating each other (as your op-ed seems to be saying) isn’t one of them. A bunch of his friends and family broke away from their high community standards, and boy did he speak out! Do you remember how angry he was? Smashing valuable property, and condemning the sinners in no uncertain terms! His yhartzeit wasn’t so long ago, and his ranting really changed the community after that. They did teshuva. They rid the community of the sinners. That’s what we need now. Desperately. That everyone re-embraces the Torah. And becomes frum again. You remember Moshe now, don’t you! Stop worshipping your golden cow! There is only one Torah, one Moshe rabbeinu, One Chabad standard. Just stop trying to destroy it. Question: Why would someone living a happy life in a beautiful, perfect community outside CH take the time to write an op-ed so critical and obviously exaggerated? A. The writer lives in Crown Heights but is very unhappy about life in Crown Heights (perhaps they were on the receiving end of the recent “lashon hara” against the Chabad Zero crowd?) and decided to paint the whole Crown Heights with a broad negative brush. And the criticism will sound more credible if it was written by a “an outsider and caring friend”. The writer left Crown Heights in hopes of finding another community where the grass is greener but the new community isn’t perfect either. So he/she will clear this up by writing an op-ed about how pale-looking the grass in Crown Heights looks in comparison to the grass in every other community in the world. How would you convince someone to move to Crown Heights? 5. Acceptable Tznius on the streets? 6. Achdus among our leaders? Our people? After Gimmel Tamuz, I see no reason to tolerate the absence of all the above. But that’s me. And maybe you. CH has many positives that NO OTHER COMMUNITY HAS. There’s something for everyone – whether you are reb pinye korf or you are someone whose only observance is Shabbos candles. A diverse Chabad community means that everyone can find a group of friends on their level, their nusach, their sports team etc etc. There are so many shiurim, farbrengens, shuls, mikvahs, yeshivahs, sofrim. There is kosher food shopping, restaurants, parnassa opportunities, doctors, lower tuition than most schools elsewhere, public transpotation/uber/rentals. CH has the choshuve Chabad institutions of 770, JCM, The Rebbe’s Library, Children’s library, Suite 302 etc. CH is the home to the most amazing personalities from Reb Yoel to Rabbi Krinsky to Shimmy Weinbaum. Above all, CH has a vast majority of nice, normal, friendly people who are leading productive and happy lives. Open the Tzach List and you’ll see that 95% of the names are people who you’d be happy to spend time with. Come to CH, we’ll hook you up with a nice frum therapist (perhaps you can try Daniel Shonbuch) and you’ll learn how to lead a happy life by taking responsibility for yourself and by beginning to focus on the positive! I love the last paragraph! Only someone with sense of humor can appreciate. Otherwise please skip it, it’ll hurt. A bitter attitude will travel with you even if you move across the world. A positive attitude will serve you well anywhere and everywhere! It’s all about what you choose to focus on. Practice complaining, you’ll find much to complain about. Practice gratitude, you’ll live a happy life. 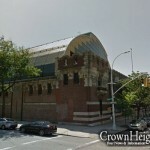 CROWN HEIGHTS MUST DO TESHUVAH NOW! We can all improve in something. Yes, there is a ton of good and lots of good amazing people in CH and no one can take that away. 2) politics politics politics. Wherever I went people were talking about people..rabanim..schools.. So you tell me to focus on the good? I should but for me these 2 points are louder then the good. May we all be happy and successful wherever you choose to live. We have just come from the Geulah of Purim and are preparing for the ultimate Geulah in Nisan. We must only speak positively and with Achdus. i moved could not afford the rent. the ch community needs to be replaced. even a mop could do a better job! We are a community with a heartbeat like no others. The ahavas israel is great It explains Israeli politics.The light at the end of the tunnel is that of a speeding train. i left ch a while ago. i do miss many of the wonderful people that i used to see. regretfully, i was unable to buy a house and ended up moving away. i was lucky to find (relatively) affordable housing and live near a wonderful shliach. This does not work for everyone, but it does for me. I hear you – I too trade the comforts of suburban life for the pleasure of being on an area with the Rebbe’s bracha. if space is an issue who is willing to fight to have our zoning laws changed so people can build a few stories above their homes. I’m so fed up with the bashing of our community. Yes, it’s challenging but how about talking about all the good that’s here? stop the negativity..your words did nothing but make people more upset..you offer no solution, just more frustration. You’re right. You should not be in Crown Heights. You should be on Shlichus! Everyone on Shlichus! No matter your occupation. You should be ufaratza from Crown Heights and be on Shlichus. Every Shul- Chabad House and Ashkenaz should have Lubavitcher Chassidim. Shlichus. Bring Moshiach. Leave Crown Heights and go on Shlichus. You contradicted yourself in your short rant. If you can do Shlichus anywhere regardless of your occupation…then why the need to leave CH? Aderaba, NYC (and Brooklyn specifically) has a very high concentration of yidden who are thirsting for yiddishkeit and Chassidus. More than ANYWHERE ELSE in the world! Everyone. Should. Be. On. Shlichus! Even if you are an accountant, you can host a Shabbos meal for a family that does not yet observe Shabbos. Shlichus! You can do a Purim program. Shlichus! Teach a Chassidus shiur in BP. Shlichus! Bring another yid to the Ohel. Shlichus! If you mamesh can’t find any non-frum people, then you have a bigger problem and moving out of CH won’t solve that. You’re no friend. CH got better when you moved. With friends like you, who needs enemies? LOL! we do need a vaad which somehow will help us uphold the Rebbe’s values as far as real estate and rents, property issues, etc. in the end, we need the Rebbe’s values and directives in place. CH needs a real ROV!!! One Rov one community. I guess the most revealing aspect of this entire post are the dysfunctional comments in response to the post. What a terrific experiment ! It brought out exactly what he was claiming! I moved out as well, thinking I should have done it sooner. I check this site only when very bored to see this type of chatter. More like entertainment in a sad way. Everyone should respect each other. Crown Heights is the rebbe’s shechuna. Wherever you are/live, is hashgocha protis. We are dugmaos chayos wherever we are.